Hey Shelly, since you have done so many of these tell me, have you noticed a change in your art,are you drawing differently or noticing more? are you studying different zens, or making more of them up yourself? I guess what i'm asking is, what has drawing Zens done for you as an artist?? I like them because they keep me creating all the time. Wow Lori, you are right about creating something all the time, I love that, especially when it is so relaxing, no stress involved. I have never considered myself as an artist, but love creating and doing, like quilting, making paper, graphics, poetry and crochet. 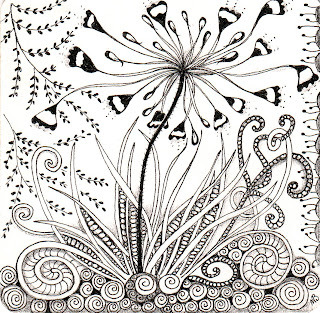 I think the art of zentangle has a wonderful philosophy - no mistakes, non competitive, I can do it any where, does'nt cost much, there is an element of surprise when a tile is finished and an achievement which I can easily give a way. 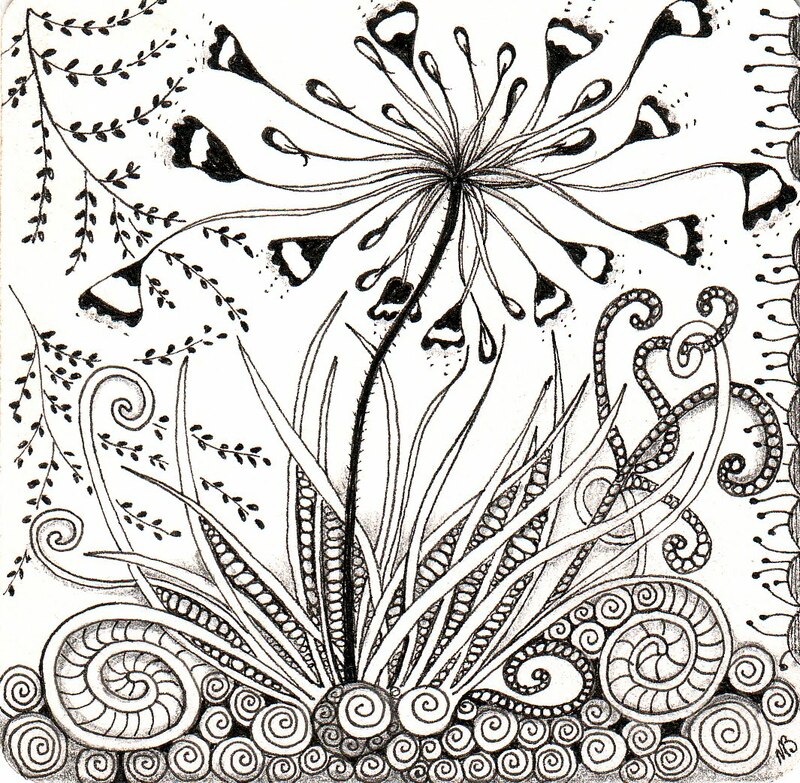 I enjoy adapting tangles but haven't designed many myself yet. Thanks for the questions, makes me think and feel grateful for the magic!